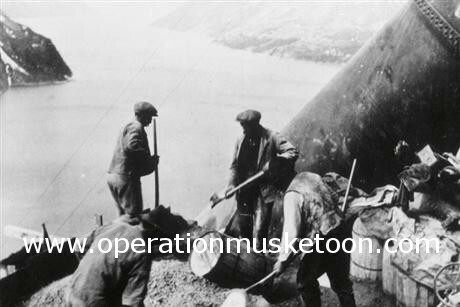 Operation Musketoon’s goal was to halt aluminium production by crippling the power plant at Glomfjord. 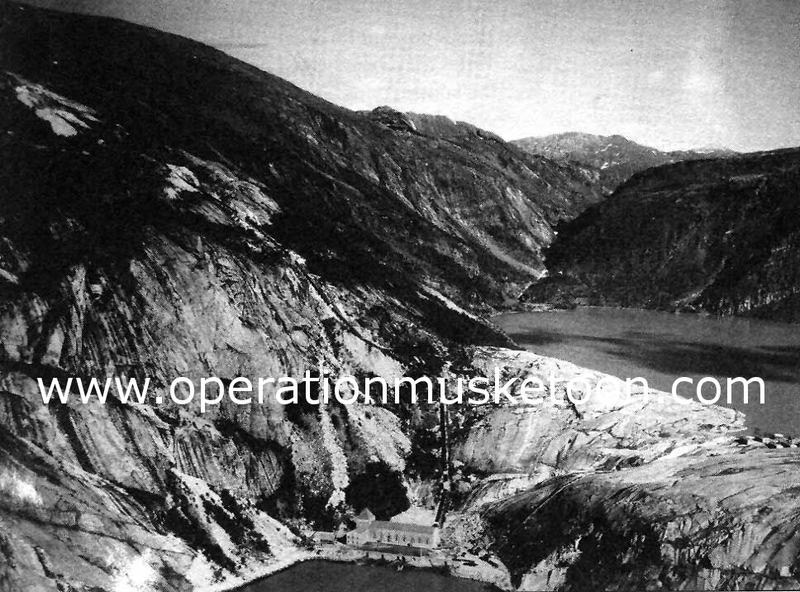 To accomplish this feat the objectives facing the Commandos can be perfectly encapsulated in the reconnaissance photo below, taken on September 20th 1942. The power plant and supply pipes can be clearly seen. 2. To disable the generator at the plant itself by destroying three turbines and three generators in the main hall. When achieving the second of these an overriding priority was to evacuate the Norwegian workers once the area was secure. 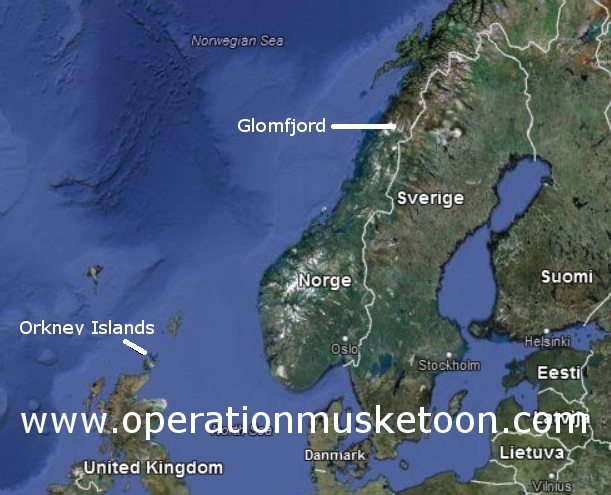 From training in Scotland to their departure from the Orkney Islands, the Operation Musketoon Commandos would need all their skills and training as they headed to Glomfjord in Norway to carry out their mission before making their way across country to Sweden, then home. It was always going to be a hazardous mission and for some they would make it back to safety, albeit temporarily, for others it was their final mission, as they paid the ultimate sacrifice, heroes one and all.